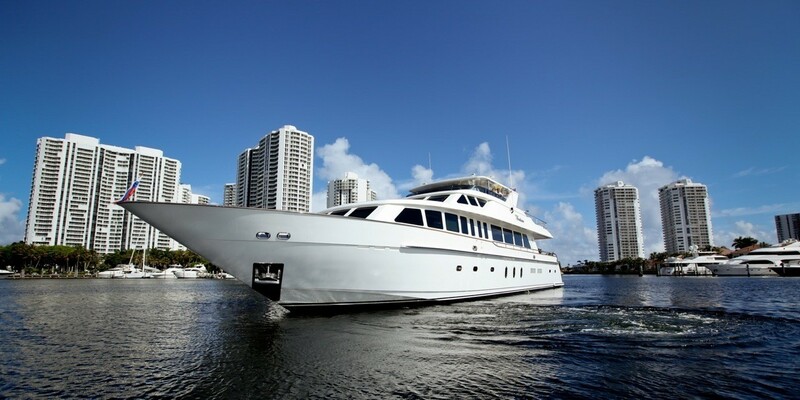 Luxury motor yacht BEACHFRONT (ex Lason) was built in 2006 by Hargrave yachts and measures 32.9m (108ft). 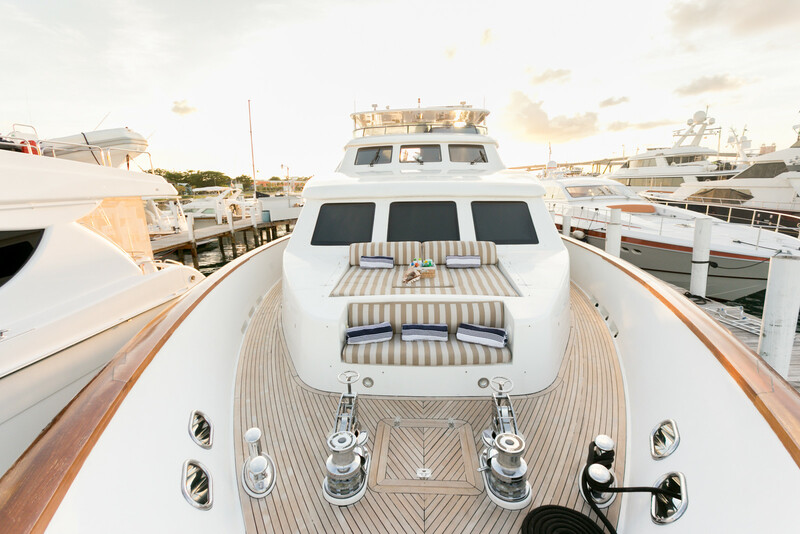 BEACHFRONT underwent an extensive refit in 2015, she offers contemporary interior design by Lynn Levy and can accommodate up to 10 charter guests. 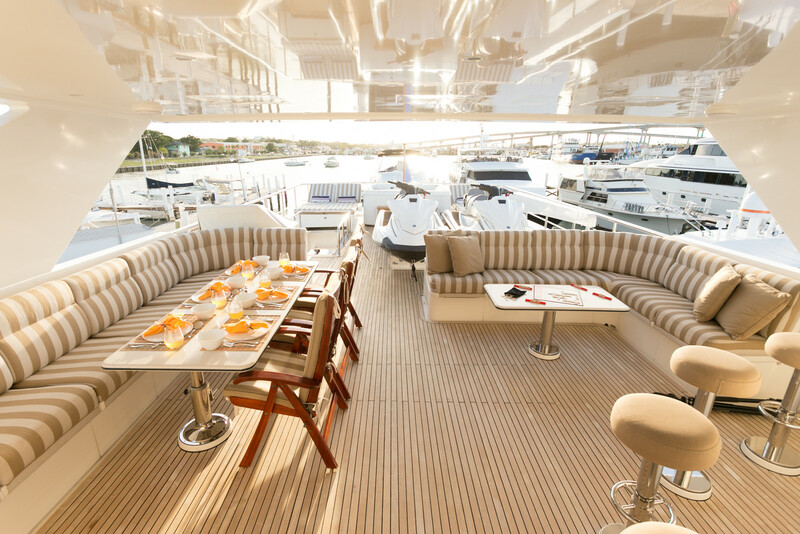 The yachts interiors are light and airy. 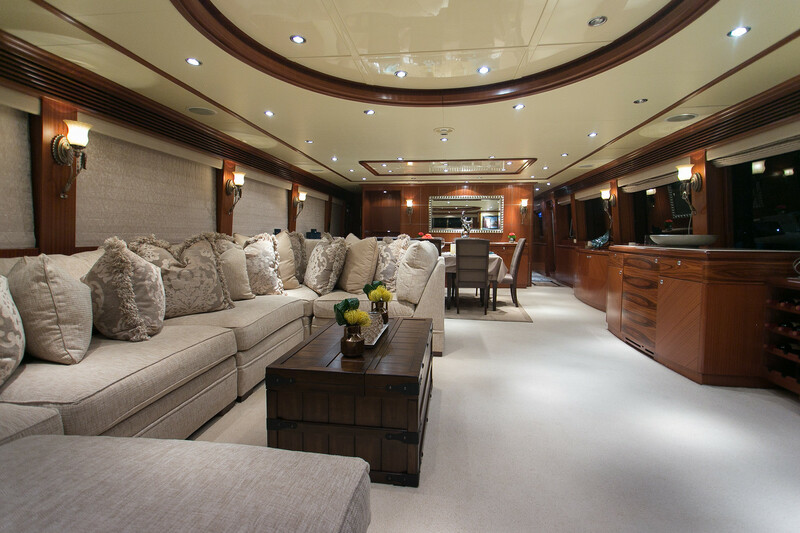 The salon features a generous neutral toned sofa, coffee table and state of the art entertainment systems. 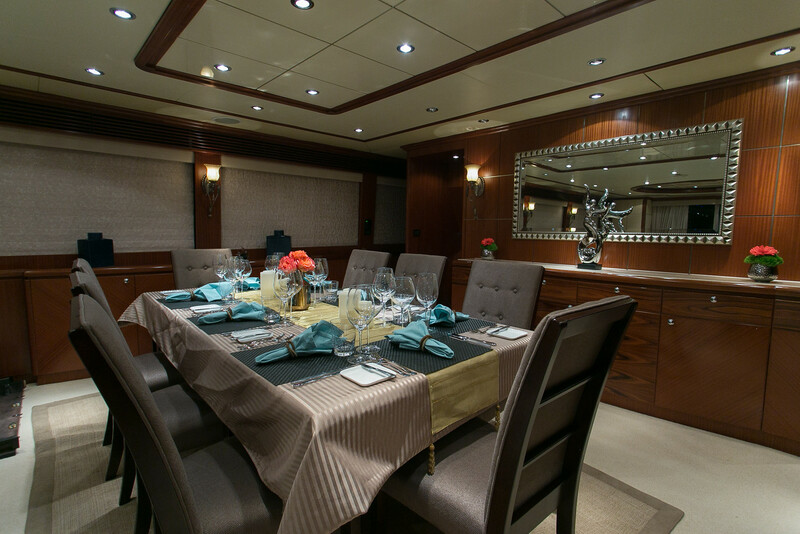 Forward in a modern open plan, the formal dining table seats guests at an elegant table, flanked by high back chairs. 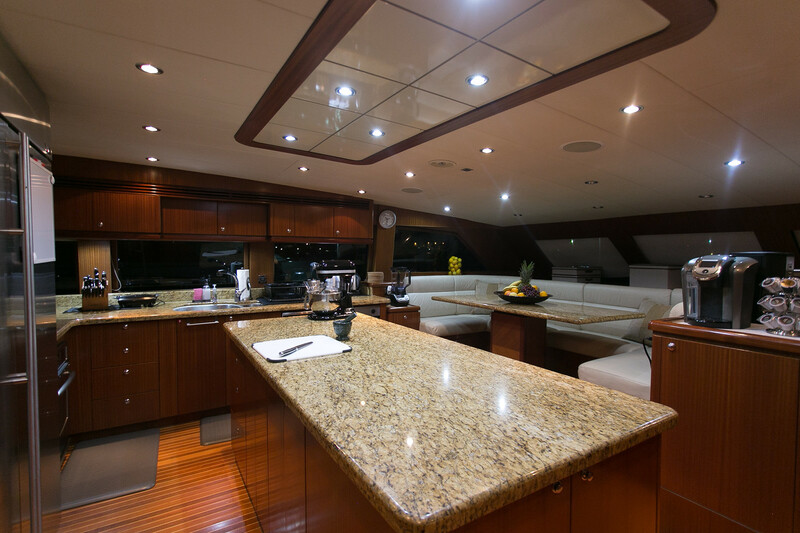 Separate and forward of the salon is a large country style kitchen, where guests can relax in a more casual ambiance. 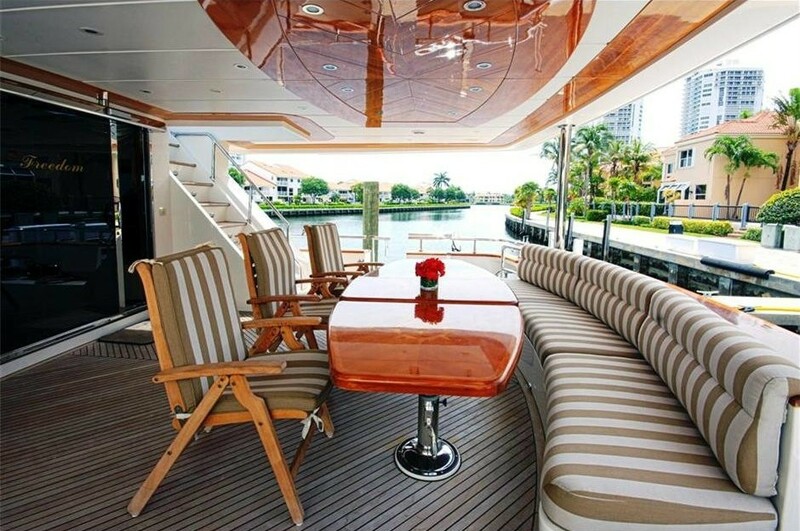 Thanks to panoramic windows throughout the main deck, there is an abundance of natural light and spectacular views. 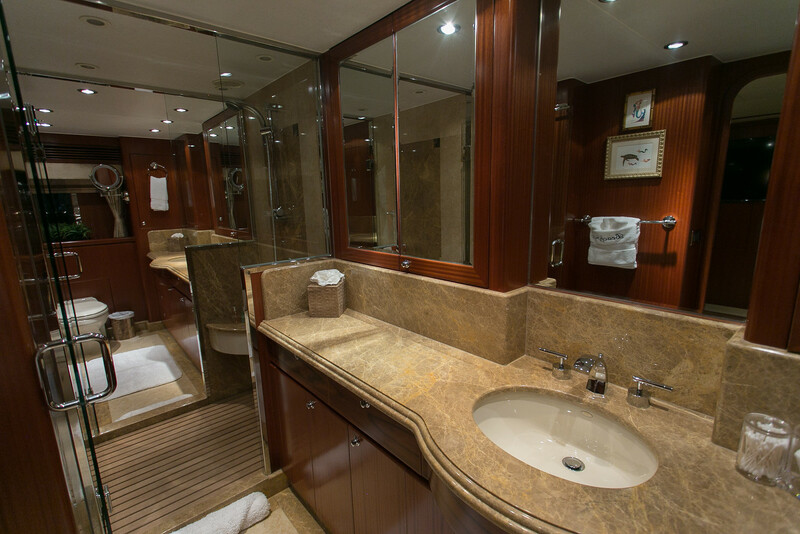 On the lower deck are 5 guest cabins, each offering private en-suite facilities. 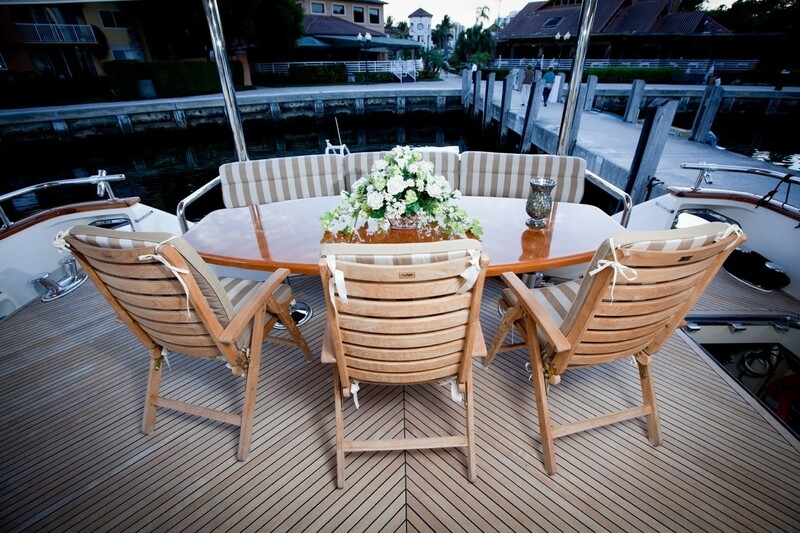 On deck, BEACHFRONT has plenty to offer whether guests wish to socialize or simply relax. 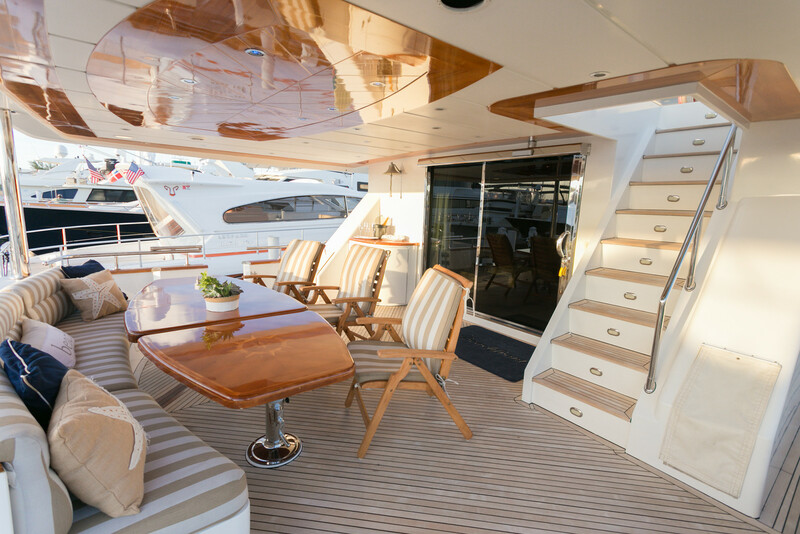 Adjacent to the salon is a shaded aft deck with a high gloss varnished alfresco dining table and ample seating. 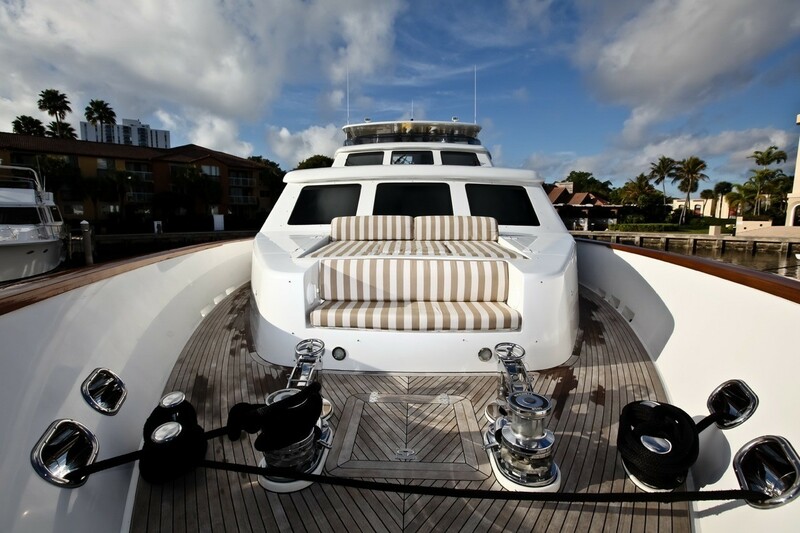 Her main decks wrap around 360°, leading to the foredeck, boasting a further seating area and raised double sunbed. 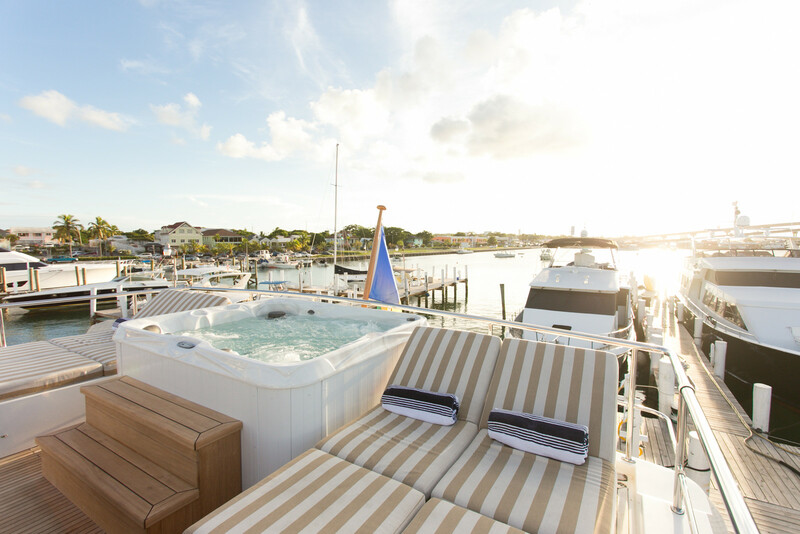 An upper sundeck offers a further alfresco dining option, seating, cocktail tables, a deluxe Jacuzzi and chaise lounges. 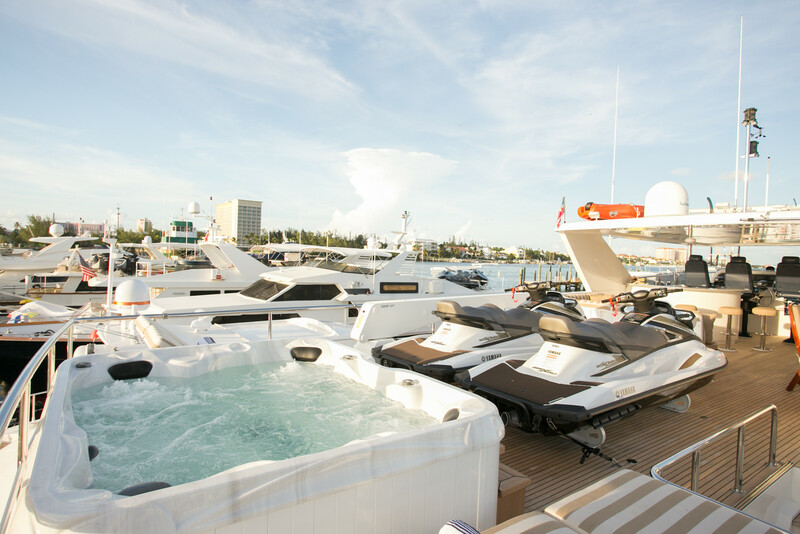 An impressive water toys list is all effortlessly enjoyed from the extended swim platform on the transom. 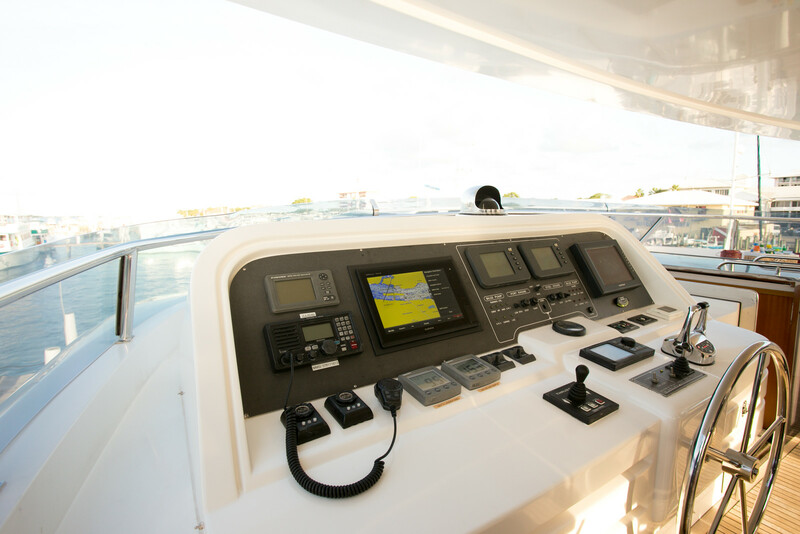 Powered by 2 x CAT C32 engines, she is capable of speeds from 12 – 18 knots. 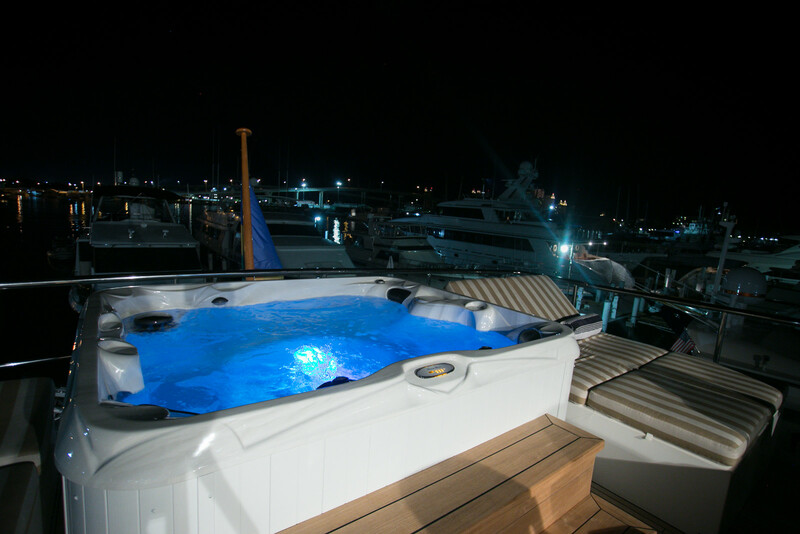 BEACHFRONT is fitted with underway stabilizers for added comfort and relaxation. 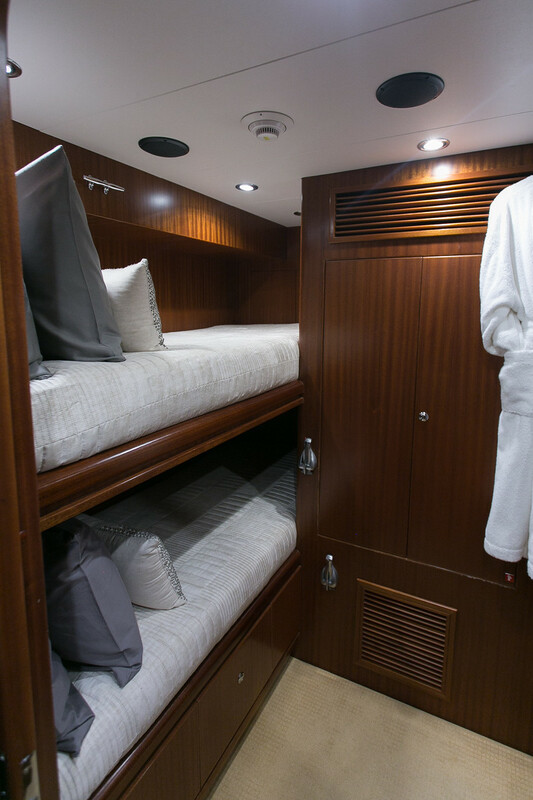 Below decks are 5 cabins, all with private en-suites. 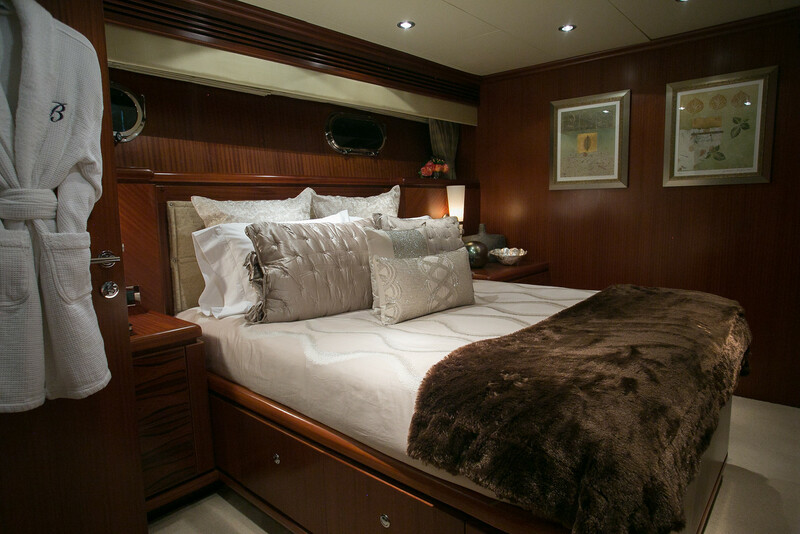 The master stateroom is amidships with a full beam layout, king size bed and seating area. 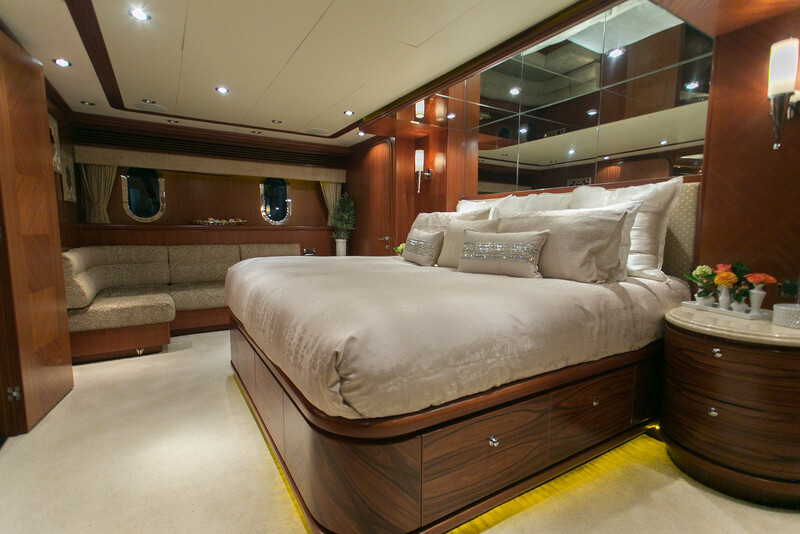 Three guest cabins each have walk around queen size beds. 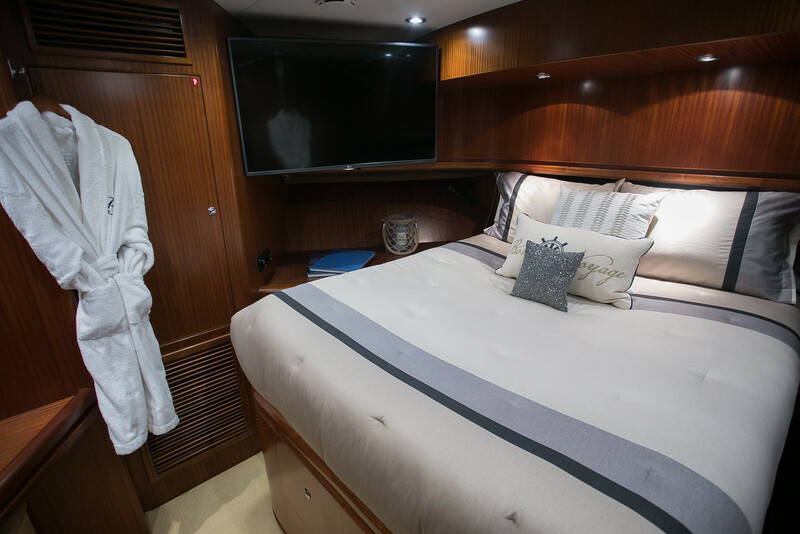 A further cabin offers upper and lower single bunks. 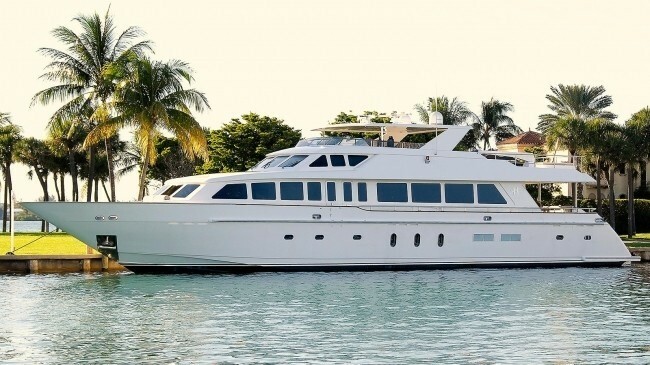 BEACHFRONT offer the following Tenders & Toys: 30ft Twin engine center console tender Extensive fishing gear 2 Brand new Yamaha wave runners Brand new Jacuzzi Snorkeling gear Skis Wakeboard Inner tubes Beach set ups WiFi connection on board: At dock and limited use available underway or at anchor Audio Visual Equipment and Deck Facilities 50'' Flat screen in saloon with apple tv, 300+ updated movies collection, 1 Flat screen in every room with direct tv.